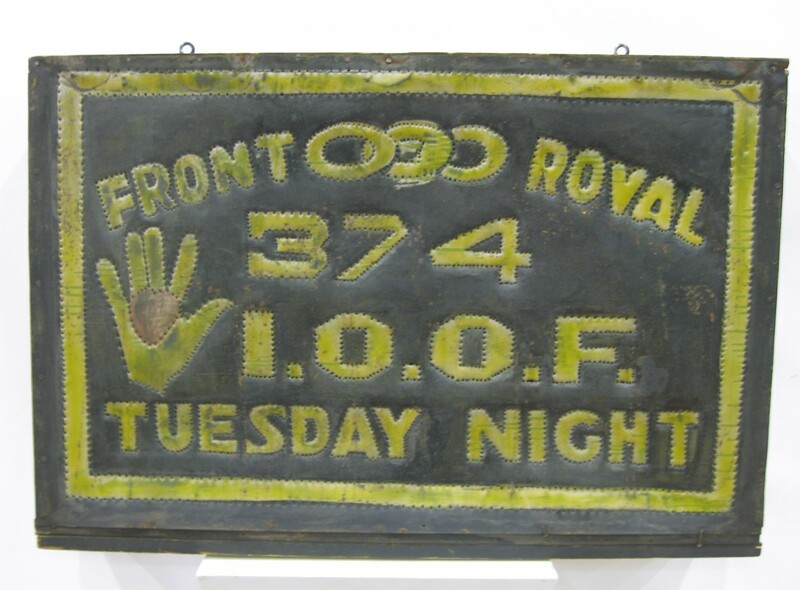 A most unusual Odd Fellows Lodge Sign from Lodge #374 in Front Royal, VA, c. 1920-30. 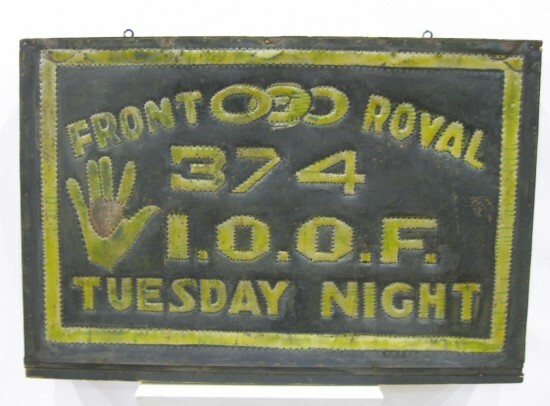 Very nice punch work decoration around the letters and the Heart in Hand symbol of the Odd Fellows. The inclusion of the Heart in Hand is most noteworthy. Excellent original condition.